I was really impressed with Air Mauritius as the economy class seating was comfortable, with plenty of leg room. The in-flight entertainment was good, with up to date films, but there wasn’t the facility to play on demand, so I only managed to see one film before I slept for 7 hours. The flight took just under 12 hours and left on time both ways. The crew looked immaculate, were very polite and attentive and the food was OK, with a choice of chicken or fish and a continental breakfast. I would definitely recommend Air Mauritius and the overnight flights were brilliant. My favourite hotel was the Dinarobin. It was an elegant, relaxed, all-suite property set on the stunning Le Morne Peninsula. This hotel had a really lovely atmosphere which managed to capture a laid-back feel but with the sophistication you would expect from a luxury resort. The beach here was beautiful (despite a little seaweed in places) and I liked the fact that you could use all of the restaurants and facilities at the Paradis hotel next door (including the golf course). This hotel is perfect for both couples and families and the luxury suites are located in six crescents amongst the grounds, with each crescent having its own pool. The rooms are very spacious, light and airy with an ‘outdoor lounge’. It is also the only hotel to offer a private member concept in the Club at Dinarobin. Our first two nights were spent at the Shandrani, which is probably one of the most popular hotels due to the fantastic all inclusive package they offer. Fine dining and champagne are included, and you can even personalise your own mini bar. I found the Shandrani to be very relaxed and informal, so perfect for families but also suitable for everyone. We also spent two nights at the fantastic Trou aux Biches Resort and Spa. This hotel is located on one of the best beaches in Mauritius and is very popular for weddings and honeymoons due to its very romantic atmosphere. Situated on the West coast, near to Grand Baie and Port Louis, it is so good for guests wanting to go out and explore the Island. Again, it is an all-suite hotel and the bungalows are nestled amongst the gardens creating a Mauritian village ambience. The rooms are very spacious and the bathrooms are enormous! I really liked this hotel for its luxury facilities and restaurants, whilst it also has the largest spa on the Island (Clarins of course). We were lucky enough to witness a wedding while we were there and the hotel really pulled out all the stops to make it a day the couple would never forget. I was also very impressed with the kids club here; it was such a lovely area for the children to play and feel safe and at home. We watched the staff interact with the children and they all seemed like they were having their very own little holiday. During our trip, we also got to visit the Royal Palm, Le Victoria, Le Canonnier, Paradis and Le Mauricia, but I will just quickly tell you about my two other favourites. The Royal Palm was simply stunning and part of the leading hotels of the world. It had a ‘spa’ atmosphere, which was very quiet and private. It would definitely suit couples looking for impeccable service and the finest cuisine. There is only one way to arrive at the Royal Palm and that’s by helicopter! You can pre-book these transfers through Beachcomber or ask one of our friendly agents to do this for you. The ‘Le Canonnier’ is a very welcoming, all-inclusive, family friendly hotel, with an amazing kids club set in the ruins of an old lighthouse. I loved this resort as soon as I walked in. It is located at the tip of a historic peninsula and there are still cannons dotted around the grounds. There was a really lovely, relaxed atmosphere here with an amazing pool area and wellness centre situated in the branches of a banyan tree. The rooms were fresh and modern and it is only five minutes in a taxi from Grand Baie. I would highly recommend this hotel; especially for families looking for a relaxed holiday with superb facilities. Don’t be a dodo challenge – this involved a number of the Beachcomber hotels and we had to make our own way to each property in the most unique way. Casela Nature Reserve – This is a really good day out that everyone will love. There are a number of activities on offer including, zip lining, quad biking and you can even walk with the lions. Sunset catamaran cruise – amazing sunset and the local rum wasn’t bad either! 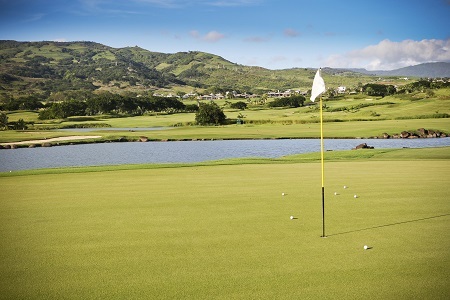 Golf at The Paradis – We attempted to play golf (badly) at the superb international par 72 golf course. This included stunning views and the golfers amongst us said it was a very good and challenging course. Numerous gala dinners and other surprises that I can’t give away! The whole trip was simply amazing, but the highlight for me had to be the helicopter trip and getting to look around the Royal Palm. Nothing! Beachcomber were amazing throughout the whole trip. Mauritius is a fabulous island with more than just gorgeous beaches to offer. Beachcomber are a specialist luxury tour operator and I really couldn’t think of a better company to show you Mauritius. They have over 23 years of experience and they were the first hotel company on the island, with the pick of the prime locations and beaches. You are sure to experience a 1st class holiday at any of the Beachcomber properties, as they own and run all the hotels and can personally handle every little detail. 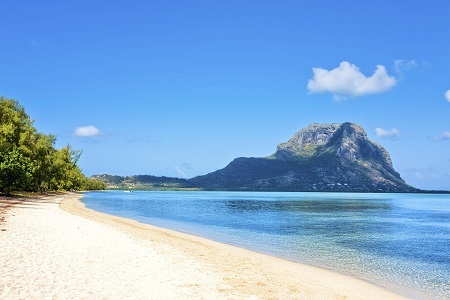 Mauritius has amazing beaches and a great mix of cultures. The locals are very friendly and will go out of their way to make you feel safe and ‘at home’ on their island. 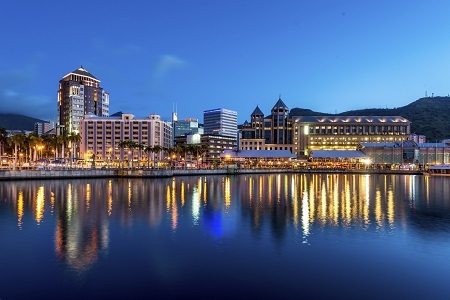 With only three hours’ time difference, there isn’t the negative of jet lag and the year round climate makes it an ideal destination for couples and families looking for the trip of a lifetime! The Beachcomber Academy trip is like no others in the industry. The itinerary is kept top secret so that there are nice surprises along the way. We were treated like royalty and thoroughly spoilt and they definitely showed us Mauritius the Beachcomber way. According to Beachcomber there are only 8 hotels on the island! The rapport the UK staff have with the staff in Mauritius is fantastic, so you can be sure that you will be well looked after and the attention to detail will be amazing. Many of the hotel staff have worked there for many years and you can tell that they are very proud to work for Beachcomber. At Fred.Olsen Travel we can arrange a similar trip to the one that Zoe experienced for anyone who wants to explore Mauritius for themselves. This could be the perfect honeymoon or wedding holiday, but it would also make a great destination for a family who want to relax in luxurious surroundings. Drop by one of our eleven travel shops in the East Anglian area and along the south coast or fill out a contact form online.